More than 90 percent of all the food grown in the U.S. is reliant on synthetic fertilizer made from petrochemicals. Without it there would be no food for most of us. The soils of America’s industrial agriculture system are dead, compacted and depleted due to decades of abuse, so without petrochemical fertilizer, there’s just not enough nutrients for the crops to grow, and without plowing there is nothing to aerate the soil. Even organic farms are dependent on oil to produce, process and ship their crops. The fact is, we use ten calories of fossil fuel energy for every single (that’s right, just one!) 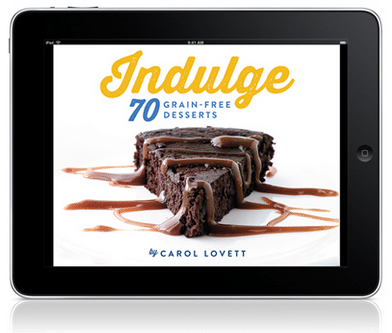 calorie of food we produce. This way of life is fundamentally unsustainable and simply cannot continue. Given that the days of cheap, easy oil are over, and we’re well past 350 ppm in atmospheric carbon, we simply cannot depend on fossil fuels to supply our food in the coming decades. So, how can we live without them? The answers are in nature. As Charles Darwin pointed out, earthworms have been plowing and aerating the soil for millions of years. And as for fertilizers, just look at how a forest flourishes by using the natural fertility created by billions of living microbes, fungi, plants and animals. Permaculture is an approach to designing human settlements and perennial agricultural systems that mimics the relationships found in natural ecosystems. It was first developed by Australians Bill Mollison and David Holmgren and their associates during the 1970s in a series of publications detailing a series of methods for sustainably producing food and fodder in the hot, dry center of Australia. Permaculture comes from “permanent culture” or “permanent agriculture.” The practical goal is the “creation of sustainable biosystems that provide for their own needs and recycle their own waste.” In other words, to have a genuinely self-sustaining homestead, village, city or culture, you have to design it to be so. 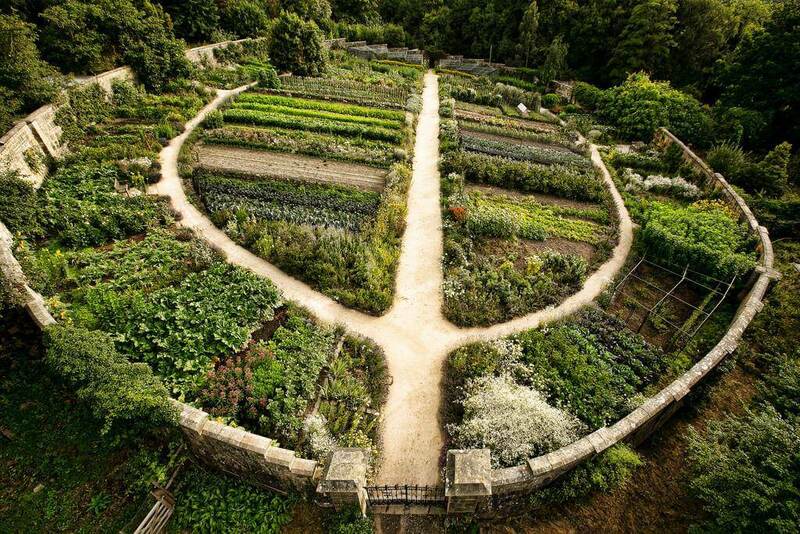 Permaculture, when practiced, is a design philosophy and set of tools and principles that encompass the inter-related fields of organic gardening and agroforestry, architecture, ecology, community design, renewable energy, and systems theory. From trees, gardens, ponds and other natural elements to buildings, solar panels, and roads, Permaculture is about arranging the right elements together in a system so that they naturally sustain and support each other for long-term productive living. Mollison and Holmgren felt very strongly that we must reduce society’s reliance on industrial systems of production and distribution because they are fundamentally and systematically destroying Earth’s ecosystems, and our communities along with them. In an industrial model dependent on growth for success, our finite planet is visibly faltering under the strain of our insatiable and wasteful demand for natural resources. Even 25 years ago, Mollison could see global catastrophe in our future if we keep to our current path, and sought to provide a powerful alternative. Mollison and Holmgren created Permaculture in order to rapidly train individuals in a core set of sustainable design principles, so that those individuals could go home and design their own homesteads and villages, teach their neighbors, and build increasingly self-sufficient human settlements. This is not as hard as it sounds—nature is very powerful and within a few years, even people living in apartments in the city can create remarkably productive local food systems using permaculture principles. But Permaculture does involve giving up a lot of modern ways of thinking and behaving. As Mollison puts it, Permaculture is about “not shitting in your bed.” But since this is mostly how modern life functions, doing otherwise represents a radical departure in thinking. But once a permaculture system is established, the main danger, according to Mollison, is from falling food! Permaculture has spawned widespread and enthusiastic interest around the world because the design principles—which are culled from the best ancient farming wisdom and modern biomimicry and agroecology science—produce amazingly self-sustaining, abundant food-producing ecosystems. A few permaculture systems have been providing food and livelihood to their villages in perpetuity for centuries (Vietnam) or even thousands of years (Morocco), and stand as living models to us all of how to design a truly self-sustaining food forest. Once a system is established, Permaculture yields are the highest per hectare of any agriculture system in the world, require the least inputs, and, by design, provide the most diverse diet as well. Permaculture design works so well, in fact, the Vietnamese government has adopted the principles into their national agricultural policy and distributed translated copies of the Permaculture Designer’s Manual to all their farmers. The Jordanian government is considering a similar measure, based on the success of the desert re-greening project in the video above. You can do Permaculture too, starting right outside your front door. Gaia’s Garden is my favorite, and will get you started designing your own sustainable food system wherever you live. There are even more books on Permaculture available in my Sustainability Shop. There are also Permaculture Design Certification courses available in most regions of the United States and around the world. These week-long learning retreats are deeply rewarding and useful experiences, and give you an exciting glimpse of how the world could be—one homestead, one community, at a time. Permaculture techniques have brought forth food and fertility from barren deserts in Jordan, Israel, and India, and saved villages in Africa and Cambodia from starvation and dependence on foreign food aid. I use Permaculture methods in my own garden to produce lots of food without machinery, outside inputs, or even a lot of work. Permaculture practices are something everyone can learn. The technology we need to thrive in a future without petroleum is not waiting to be discovered in some laboratory somewhere, it is right here working in communities around the world. For a glimpse of the beautiful, sustainable farms for the future, watch the video below. These are great thoughts! I think my biggest concern is that we will not move towards more sustainable practices until it is too late. We live in a society now where everything is instant, and no one can wait. Healing the depleted soil would take some time. And I also think that people would not be willing to eat more seasonally so that these practices could take place. I hope for it, and we work on it on our own little nano-farm, but will the masses change? Thank you for sharing all these information. I’m intrigued. I am not a farmer although I grew up amongst lots of wonderful farmers. I live on just a little less than an acre and I find the best results I get is when I think outside the norm. I’m visiting from the Farm Blog Hop. yay for permaculture! great post, we all need to talk about permaculture and spread the word. Lately I’ve been writing about each of the 12 permaculture principles and how we use them on our farm. Once you’ve seen a biodynamic, organic, pasture based farm in action, and taste the food it produces, you won’t want to go back to the industrial food chain! My daughter and I volunteer at such a local farm. We’ve seen how beneficial it is to rotate crops and chickens to different areas. No chemicals or fertilizers are needed, since the chickens take care of that! It’s a perfect example of the wonder of nature. I wish more people could see it all in action. For someone who used to be afraid of bugs, seeing them doing their work in the living, breathing soil really is an amazing sight! Magic really. 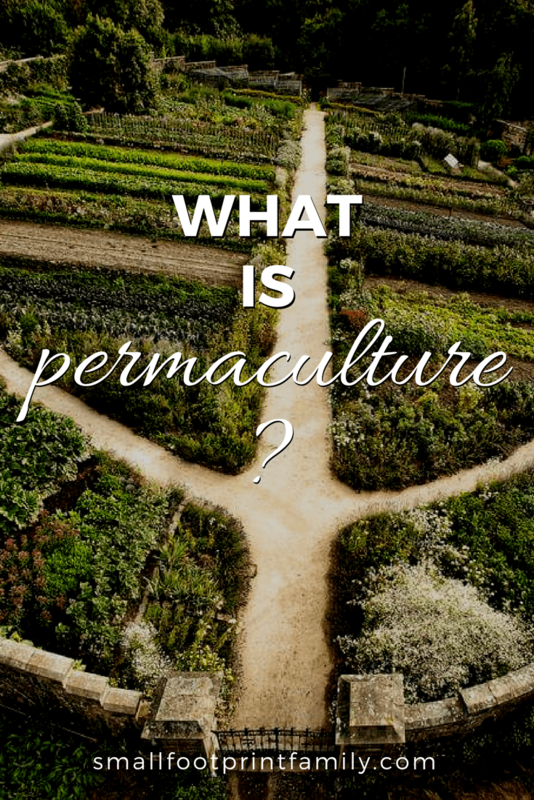 Ever since I first heard about Permaculture, I wanted to learn everything there is to know about it. Perhaps one of these days I’ll take a class somewhere about it. Thanks for joining in the Fight Back Fridays fun.